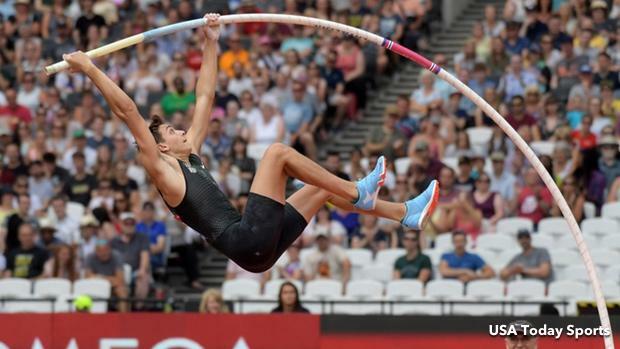 His high school career officially ended in May at Louisiana's state outdoor championships, but 18-year-old Mondo Duplantis's senior campaign definitely, absolutely, 100-percent did not stop until a few months later. In August, the Lafayette (LA) High School graduate and current Louisiana State University freshman won a European Championship in Berlin with a ratified World Junior Record of 6.05 meters (19-10.25). He added a World U20 Championship in the pole vault in Finland.He won a Diamond League event in Stockholm, then another event in France, then was second and third and fifth in three more Diamond League outings. The MileSplit50 spring winner released what likely amounted to over six-figures of prize winnings. And it's with those facts in mind, as well as the handfuls of top marks he recorded en route to his impeccable senior season before enrolling at LSU, that the IAAF proceeded to announce him as one of the World's nominees for Male Athlete of the Year. The nominees include Timothy Cheruiyot, Christian Coleman, Duplantis, Eliud Kipchoge, Emmanuel Korir, Noah Lyles, Luvo Manyonga, Kevin Mayer, Abderrahman Samba and Tomas Walsh. Do yourself a favor and vote for the man.